Fitbit has a pretty big problem to overcome with the release of the Apple Watch and other top end Android watches. It struggles to be a smartwatch. What Fitbit does well is be a top end activity tracker. Something Apple has improved but not near the Fitbit in performance. The on thing Fitbit struggles with is being a smartwatch and integrating into messaging, emails and social media. And that is where the Apple watch does a very good job. Apple has even increased battery life which was a huge sore spot as well. “There are so many different applications [our partners] want to write, from fitness-related ones to pill reminder applications. And we don’t have the support in place for that right now, or any software infrastructure on our devices to run those apps,” Park was quoted as saying. 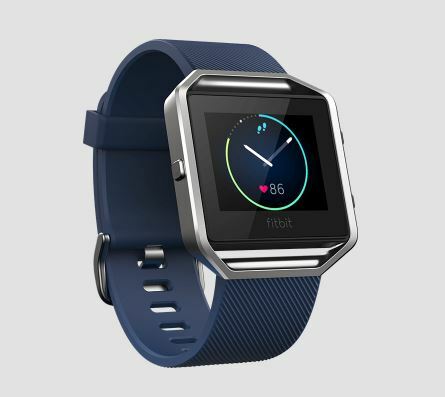 Fitbit is even going to implement payment options on their devices with their recent purchase of Coin in 2016. But is all this a little too late for Fitbit and other dedicated activity tracker only devices? How well could devices like Fitbit dip into the smartwatch category and take buyers away from Apple who clearly has a leg up on Fitbit with the iPhone. It is only natural to want to stay within 1 device ecosystem for most people. Even though implementation of multiple device platforms is really pretty easy these days there is still a mystique of having all your eggs in one basket. Second issue is going to be price. Currently the Fitbit Blaze, the flagship device for Fitbit comes in at $199.99 where the Apple Watch Series 2 flagship comes in at $399.99 for the standard version and $369.99 for the Nike Version. $170 dollar difference and how will Fitbit implement better smartwatch capabilities and remain profitable at $199.99? I do no think the have the altitude in market pricing to go higher or closer to Apple and Samsung. Fitbit needs to concentrate and remain the market leader on being an Activity Tracker and implement a seamless smartwatch capability with high end smartphones. All while keeping their price point at or near $200.